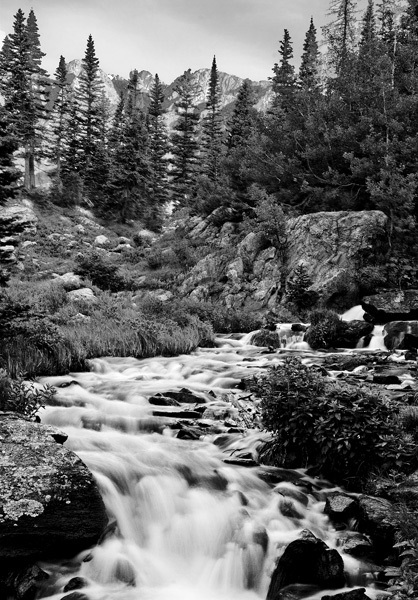 This photo was taken just above Dream Lake in the eastern portion of Rocky Mountain National Park, about one mile above Bear Lake. The mountain peak on the left side is Hallett Peak (12,713), forms part of the Continental Divide. Photo © copyright by Mike Barton.